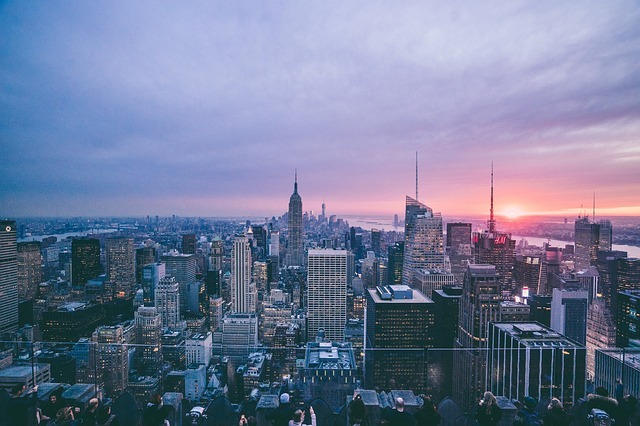 New York is undoubtedly one of the world’s greatest cities, which is why it attracts people from across the globe who want to live there, work there, study there or simply visit and have the vacation of a lifetime. They call it ‘the city that never sleeps’ thanks to its 24-hour lifestyle, but you won’t feel like sleeping either when you visit because there’s simply so much to see and do in its five boroughs. That’s why it’s important to plan ahead if you want to make the most of your New York city break, whether you’re staying for two nights or two weeks. With that in mind, here’s our eight-point guide that will allow you to enjoy the big apple to the full. Your holiday doesn’t begin from the moment you arrive in New York, it should begin from the moment you set off, and that’s just what you can do when you fly with the high-quality carrier Porter Airlines. They fly to exciting locations across the United States, Canada, and for added convenience, you can book through flyporter.com. You can get great value flights to New York from a variety of airports, and when you travel with Porter you’ll find great luxury at an affordable price. This is apparent from the moment you arrive at your airport, thanks to its free to use lounges with newspapers, snacks, and Wi-Fi at no extra charge. This focus on exemplary customary care continues on the plane as well, with free snacks, and free wine and beer served in actual glassware. It’s a great way to ensure you arrive in New York feeling happy and relaxed, and ready to explore all the great American city has to offer. The magnificent awe-inspiring skyscrapers may dominate the skyline of New York City, but it’s Central Park that provides its heartbeat. A stroll through this large, beautiful park can make you feel so relaxed, and so in touch with yourself and the natural world around you, that you can easily forget you’re in the middle of a city with a population of more than eight million. It’s easy to spend a day just exploring Central Park, but the very best way to experience it is in one of its famous carriage rides. It’s like entering another century, if not another world, and it’s guaranteed to put a smile on your face as well as providing ample opportunity for photographs that really capture the essence of New York. New York is famous for the standard of its food, and one of its greatest joys is sampling mouth-watering street food from vendors that offer cuisine from all corners of the earth. New York also offers exceptional fine dining experiences, and these can be an especially good choice if you’re holidaying with the one you love. There are 72 Michelin starred restaurants in the city, covering all kinds of cuisine. Earning one star is a mark of supreme quality, but New York can also boast five restaurants with three Michelin stars, the highest accolade in the gourmet world. Eating at restaurants such as Eleven Madison Park or Le Bernardin won’t be cheap, and you will have to book well in advance, but it will be a once in a lifetime dining experience that you and your partner will never forget. There are many famous museums around the world, but few have the sheer number of masterpieces on display as New York’s Metropolitan Museum of Art. The building is a thing of beauty itself, with its classical colonnades opening out onto Manhattan’s bustling Fifth Avenue, but it’s inside that the true treasures lie. It has to be said that the Metropolitan Museum of Art is huge, so it can pay to visit it on more than one occasion, using the first visit to get your bearings or plan what you really want to see later. You’ll find great paintings by the likes of Picasso, Klimt, Da Vinci, and Caravaggio. Perhaps its greatest treasure is its 16 paintings by the tragic genius Vincent Van Gogh. The Metropolitan Museum of Art is often called simply the Met, a name that is also given to another of New York’s must-see cultural jewels: the Metropolitan Opera. The world’s leading opera singers perform here, from the supreme soprano Anna Netrebko to the legendary tenor, and now baritone, Placido Domingo. A visit to the Met can be an awe-inspiring experience, whether you’re seeing works by the likes of Puccini and Verdi, or by more contemporary American composers, but that doesn’t mean it has to be an expensive one. The Met prides itself on making opera accessible to all, so whilst prime seats come at a premium it always offers affordable seating too. Even if opera isn’t your thing, there are plenty of cultural and dramatic events in New York that are sure to meet with your approval, especially if you head to Broadway. The name of this street in Manhattan has become synonymous with theater, and especially musical theater, and it certainly lives up to expectations. You’ll still find family favourites such as ‘Phantom Of The Opera’ and ‘The Lion King’, but perhaps the hottest ticket of them all is ‘Hamilton’. It’s the show that has revolutionized musicals, making it a diverse and exhilarating art form, but above all, it’s a great night out. If you want to see a show on Broadway take a look online, as there are often special offers available. New York is not just a city, it’s a statement; it epitomises the American dream that says everyone is welcome in this great land of opportunity, and if they work hard enough anything is possible. That message is summed up by the Statue of Liberty, possibly the world’s most famous statue, that’s been staring proudly out from Liberty Island since 1886. It remains an incredible sight that can bring tears to the eyes, and the best way to see it is via a New York harbor cruise. The lights and buildings of the shore look even more spectacular when illuminated at night, and even more romantic. The Empire State Building was the tallest in the world when it was completed in 1931, and as it edges ever closer to its hundredth birthday it’s still the fifth tallest skyscraper in the United States. Its record may have been surpassed, but its legend and reputation never will be. It has an elegance and charm that modern buildings often lack, and there’s still no better feeling than taking an elevator to its 86th-floor viewing deck and looking out over the city that seems so far below you. Thanks to Porter, you can fly to New York City in style and comfort, and it’s a destination that will live long in your memory. Iconic locations like Broadway, the Empire State Building, Central Park and the Statue of Liberty are just some of its attractions. You might also want to see a ball game, go shopping in Tiffany’s or take a yellow cab to Chelsea village, which is why once you’ve seen New York city once you’ll want to go again and again.